SEO what is and how works? When you are looking for something on Google, the result is always, or maybe most of the times, in the first page of the search engine, This is SEO. Ok, i know, if it’s the first time you hear about Search Engine Optimization, you can’t understand it all at once, so below i explain better and more easly what it is. SEO is a bunch of internet rules for creation of web contents optimized for web and searchs. A good SEO behaviour make it easy to rank better on search engines like Google, Bing, Yahoo, Ask and so on. SEO rules aren’t static or the same for every website, and they change a lot in the time. SEO walk along with search engine and if algorithm or search paradigm changes, also SEO rules changes. There are different forms of SEO, there is the White Hat SEO that is the good SEO Behaviour that lasts long than other practice for search engine optimization. 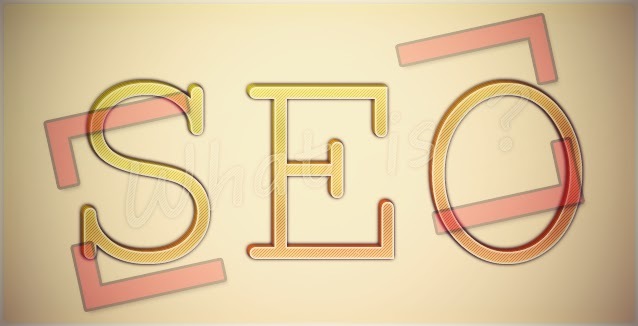 Then, there is the Black Hat SEO, the enemy of a good SEO practice, is a SEO oriented to make a fast escalate to SERP (Search Engine Result Page) but it doesn’t last long and there is possibility that search engines penalize your webpage. Is basically a good content with all the informations that need a search engine to index it. Some techniques to improve your “Ethical SEO” are: to make a lot of good backlinks by really good Ranked websites (so link-building), to increase link popularity and so PageRank. All in internet is a link, and also SEO is mostly based on links. Create or have a good and clear page code (W3C). Black Hat is like: “a man that push all the others down in a row to get in first position, but then police take him to jail for his bad behaviour”, is an aggressive SEO technique that do all the possible to get higher in search results but it doesn’t really give a plus as “Content”. Some strategies for Black Hat are “keyword stuffing”, invisible text in page and so on… techniques focused on search’s bot and not on user experience. The BH Webmaster usually want to give a push to his contents to quickly have earning from them, nothing else. In some cases are also new-bloggers and webwriters that use a “spinning software” or something like that, but these are Black Hat techniques, and because of that in few time they’ll get banned from search engines (and some of them don’t really know the danger). AVOID BLACK HAT Techniques is a Must! At first you’ll do a lot of mistakes in blogging, not knowing about SEO. Then knowing a little more about Search engine optimization you’ll try to rank better in SERP with your low knowledge, and you’ll do, for sure, a worse change in your content creation. Why? Because you’ll forget a thing… your users experience! SEO is important but the most important Thing is your user, because SEO is made to give your users a better result but if your content is “poor” The user will leave your site Alone in the web and no SEO could help you, no more. SEO is a pain for webmasters, it changes really quickly and from a day to another all your efforts could go in trash. An example to support this sentence is the update of Google’s algorithm “Penguin” that in 2012, April, has destroyed so many websites and blogs, and i was one of webmasters affected by this change. So you have to stay always updated with search engine changes! This is my advice. I'm italian i started Blogging in 2010 and now i'm trying to do something as Freelance. I like to write and specially about web and technology, i don't like superb people and i'm pleased to reply to anyone is asking something!